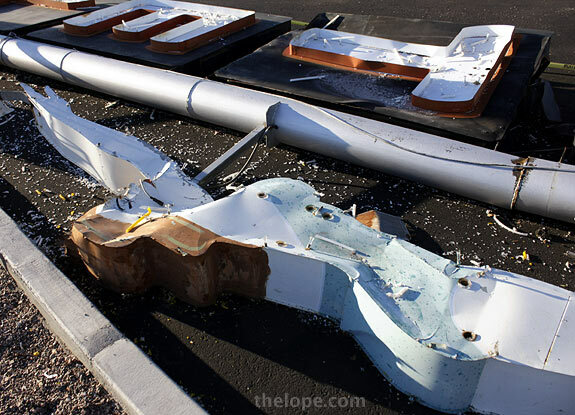 One of the best vintage neon signs anywhere was heavily damaged last week when storms that raged through Mesa, Arizona, sent the 68-foot Starlite Motel diving lady sign crashing to the pavement. 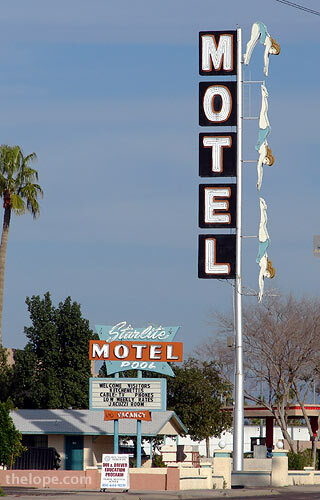 Here's the 50 year-old sign in context with its motel at 2710 E Main St (old hwy 60) in February of 2008. 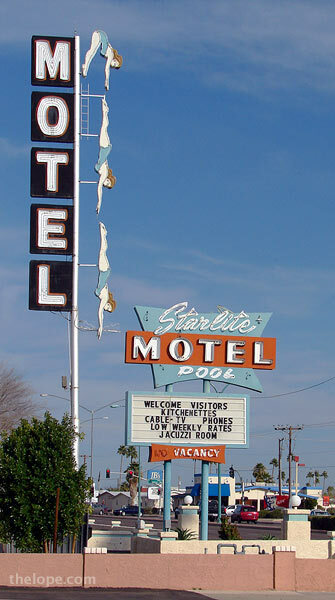 The motel is on the north side of the street; this is a view looking at the east side of the sign. 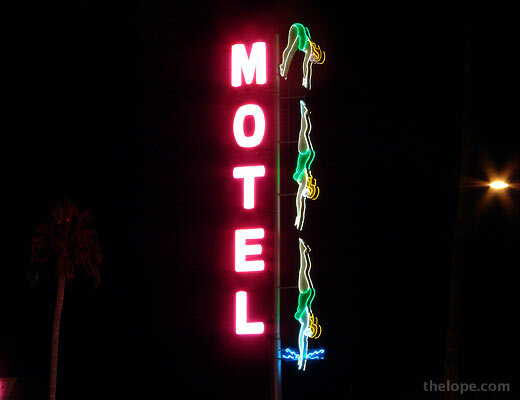 Unless noted, all photos of the sign intact were taken in February of 2008. 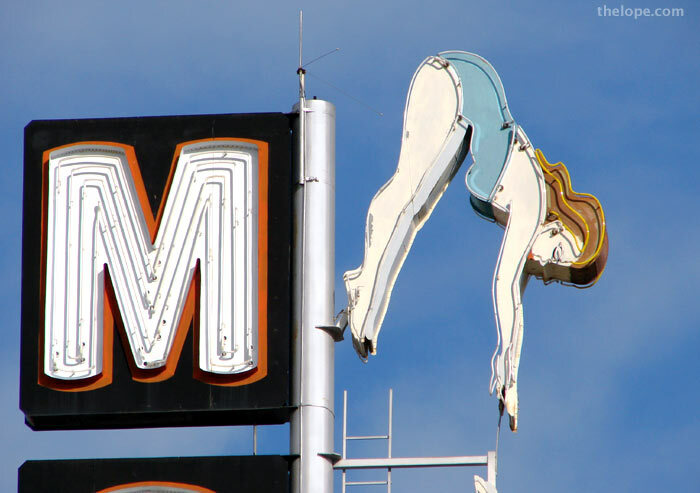 Via email to thelope.com, Tod Swormstedt, curator of the American Sign Museum in Cincinnati, wrote "The animated, sequenced diving swimmer is one of the all-time sought-after images as vintage signs go and this particular one, in working condition, was a beauty." 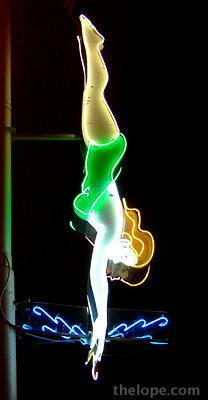 In this time exposure, all elements of the diver are shown lit. 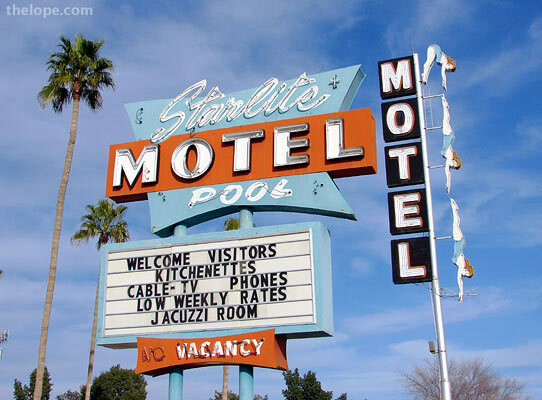 When the sign worked, each diver image lit in sequence until the last one hit the water, at which time the blue neon splash would light. The whole sequence took about two seconds. 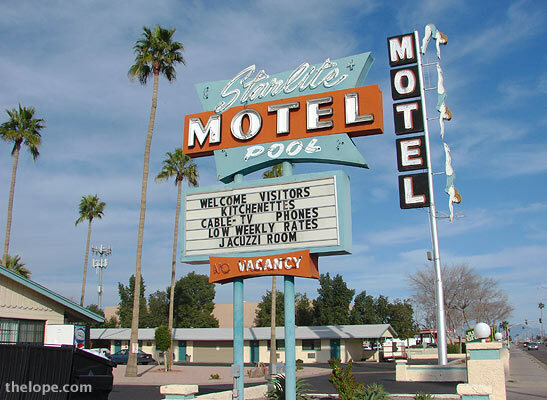 The smaller Starlite Motel sign survives. 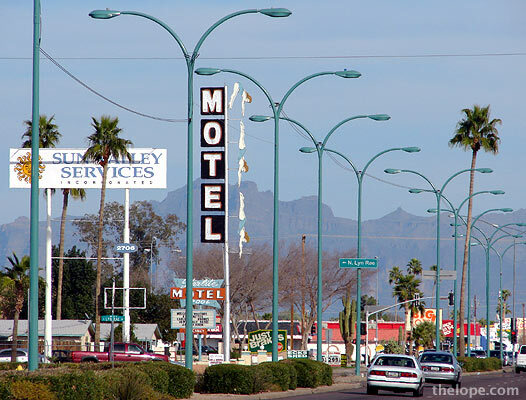 Though the perspective of this picture equalizes the their respective heights, the diving lady sign in the distance was much taller. 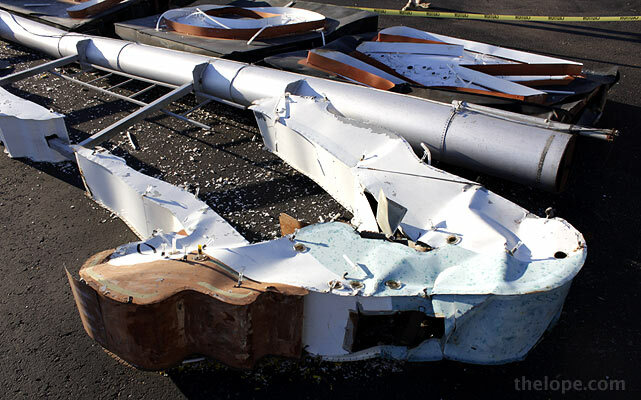 The sign pole broke - or became detached - well below the bottom of the actual sign and fell almost due east. 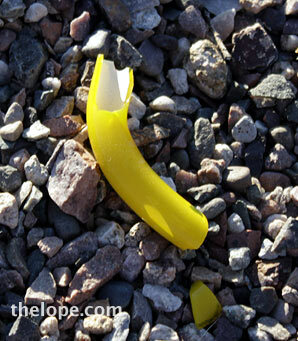 I am told that not a single piece of neon survived unbroken. Even the casing for the top diver is pretty well crunched. This is the middle diver. 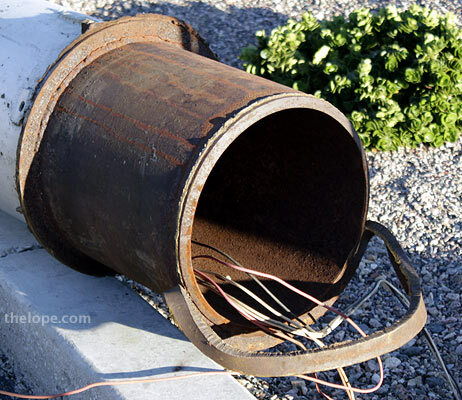 This is the bottom of the part of the pole that detached. Note the ripped metal. I'd need to see the other side of the part of the pole still standing, but I wonder if this, the part of the pole with the sign, didn't lift up out of the section still standing. In some of my older photos, it looks like the pole already tilted very slightly to the north at this juncture. 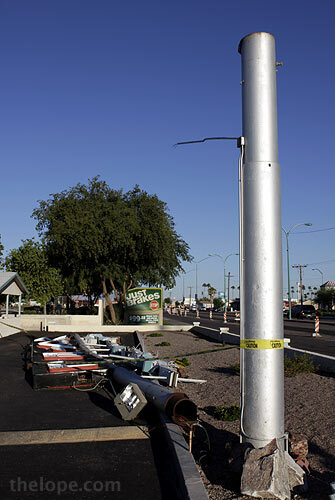 Swormstedt adds "It looks to me like the pole section was not sleeved into the ground-mounted telescoped pole as far as it should have been, so that the compromised, sectioned pole broke at the weld and the sign teetered over." 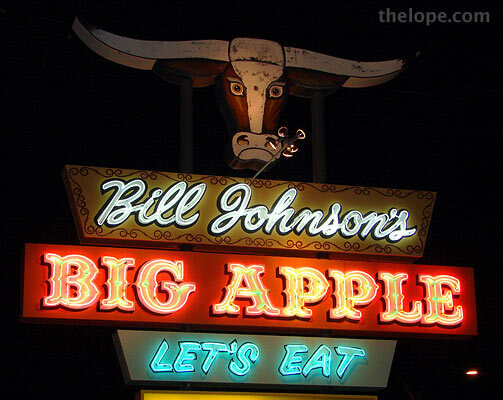 According to the on line edition of the Arizona Republic, Paul Millet built the Starlite Motel sign as well as one for Bill Johnson's Big Apple restaurant, above. 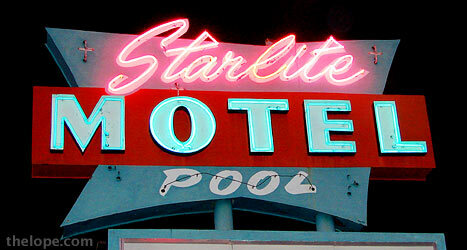 The Starlite sign was designed by Stanley Russon. 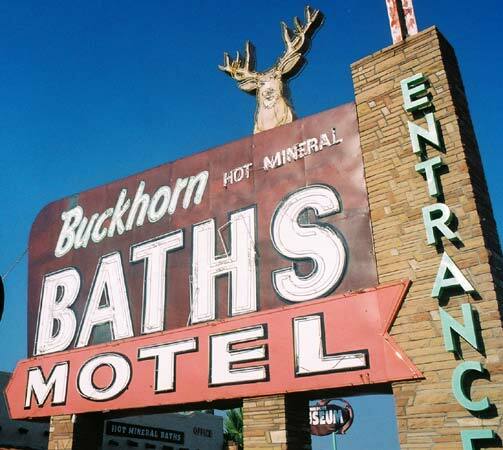 The company that employed Milet also made the sign for Buckhorn Baths in Mesa. 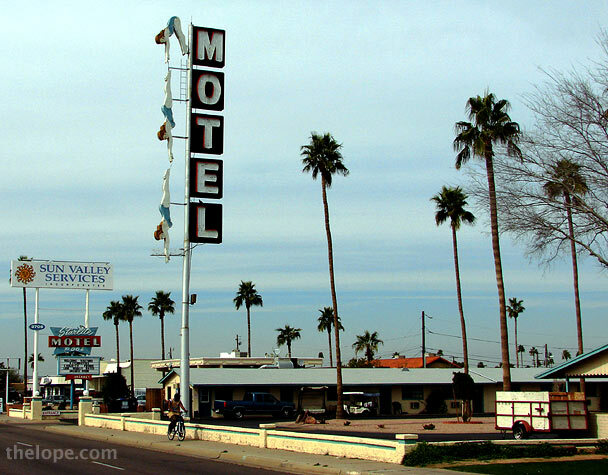 For images of more signs in this area, see a post we published in 2005 about Phoenix Area hwy 60. 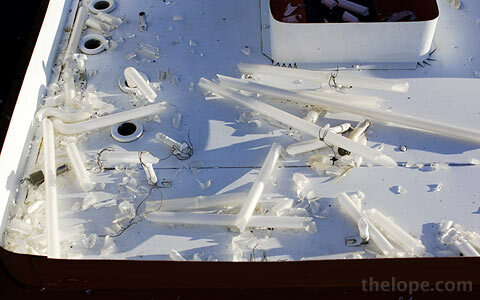 It's much too early to tell if the Starlite lady will ever dive again. 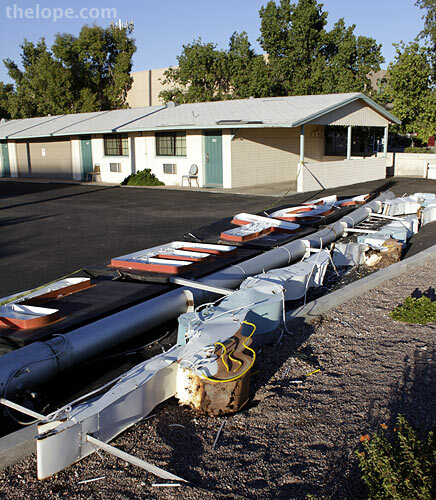 The owner, Bob Patel, would have to have the will and the means to rebuild it, and sign ordnances in Mesa might have to be varied. Time will tell, but we'll support any effort to do so. 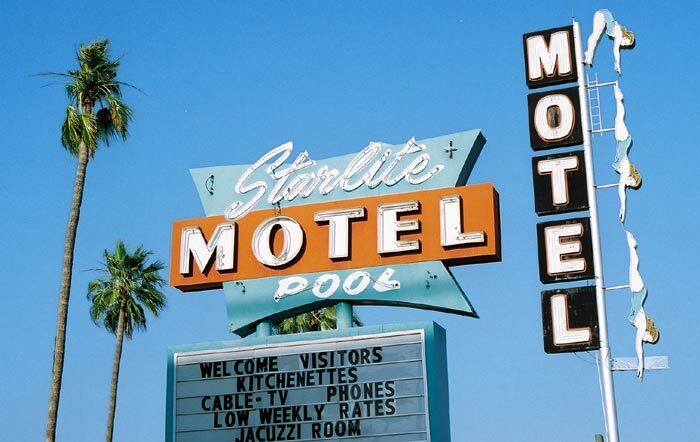 Here's hoping the Starlite Motel diver rises again. Note added December 28, 2010: And rise again it might. 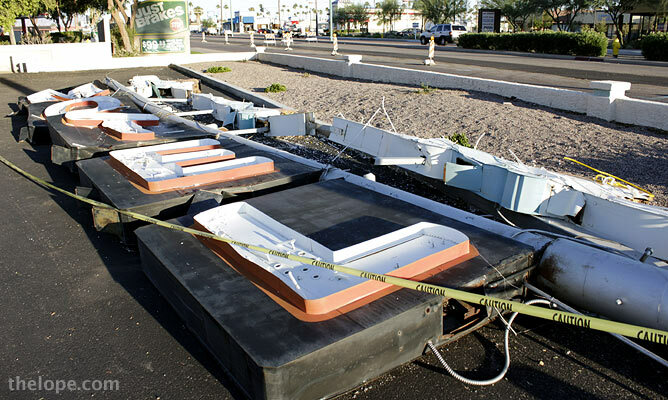 According to the East Valley Tribune bureaucratic obstacles have been resolved and money is being donated for the restoration of the sign. - Thanks to Debra Jane Seltzer and David Bell for the tips. great post. I've added alink on my blog to yours.